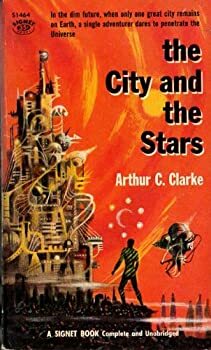 Arthur.C.Clarke is probably the world’s best known and bestselling science fiction writer. He has won innumerable international awards for his fiction, for his science writing and for his inspirational role as one of the chief prophets of the space age. His collaboration with Stanley Kubrick on 2001: A Space Odyssey set new standards for SF films, and he has also presented the television series Arthur C. Clarke’s Mysterious World and its successors. He was described by the New York Times as being “awesomely informed about physics and blessed with one of the most astounding imaginations ever encountered in print.” He has been knighted by Queen Elizabeth II, and he is the only science-fiction writer to be nominated for the Nobel Peace Prize. Sir Arthur C Clarke died March 18th 2008 in his adopted home of Sri Lanka. 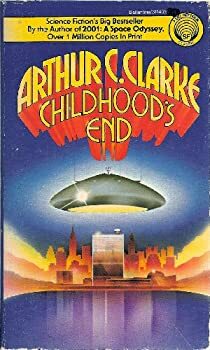 CLICK HERE FOR MORE TITLES BY ARTHUR C. CLARKE. Space Odyssey — (1968- ) Publisher: The year is 2001, and cosmonauts uncover a mysterious monolith that has been buried on the Moon for at least three million years. To their astonishment, the monolith releases an equally mysterious pulse-a kind of signal-in the direction of Saturn after it is unearthed. Whether alarm or communication, the human race must know what the signal is-and who it was intended for. The Discovery and its crew, assisted by the highly advanced HAL 9000 computer system, sets out to investigate. 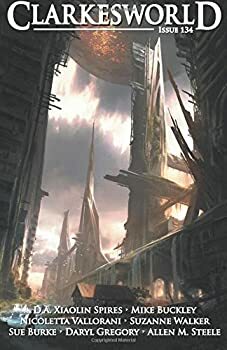 But as the crew draws closer to their rendezvous with a mysterious and ancient alien civilization, they realize that the greatest dangers they face come from within the spacecraft itself. HAL proves a dangerous traveling companion, and the crew must outwit him to survive. 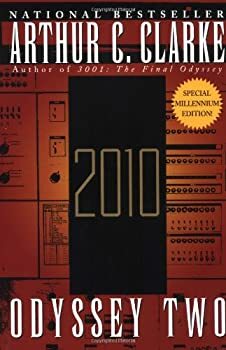 This novel version of the famous Stanley Kubrick film 2001: A Space Odyssey was written by Clarke in conjunction with the movie’s production. It is meant to stand as a companion piece, and it offers a complementary narrative that’s loaded with compelling science fiction ideas. Arthur C. Clarke actually collaborated with Stanley Kubrick to produce the novel version of 2001: A Space Odyssey (1968) in order to provide the basis for brilliant Stanley Kubrick film of the same name. So although the book can be considered the original work, the filmmaker also had a role in its creation, and Clarke also rewrote parts of the book to fit the screenplay as that took shape. Please note that this review will include spoilers of 2001: A Space Odyssey. This is not a great book. It's really more of an extended novella or perhaps part one of Arthur C. Clarke's SPACE ODYSSEY finale, 3001. This story has none of the depth, nuance or scale of Clarke's classic original, 2001 nor its solid follow up 2010. Beware of spoilers for the previous novels below. I’m assuming anyone who reads this review will likely have read the two preceding novels, or at least seen their movie companions. The elements that make 2001: A Space Odyssey a classic — the pacing, dramatic tension, smartly efficient plot lines — are mostly missing from Arthur C. Clarke's Space Odyssey finale, 3001: The Final Odyssey. What it retains is Clarke's obvious exuberance for biological, technological and cultural evolution. Each book in the series represents an evolution in itself even, of Clarke's own perspective and thinking on the growth of humanity overtime, while providing a platform for his reflections on extraterrestrial life and evolution. Time’s Eye: Action, science and… Alexander the Great vs. Genghis Khan? Action, you say? Science!? Characters in 3D!?? But wait… there’s more! How about an ancient battle-royale between Alexander the Great and his army vs. Genghis Khan and his Mongolian horde? 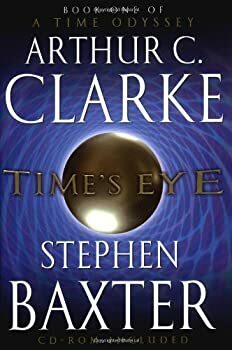 Oh yes, sci-fi power couple Arthur C. Clarke and Stephen Baxter have all that and more in the 2003 opening to their A TIME ODYSSEY series, which, in theory, takes place in the same universe as Clarke's SPACE ODYSSEY stories. 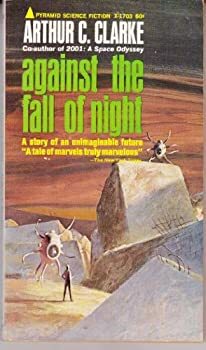 Against the Fall of Night, by Arthur C. Clarke, originally appeared as a novella in 1948, in Startling Stories. Clarke expanded the story and published it as a novel with Gnome Press in 1953. Still later he wrote The City and the Stars which expands some of the themes posited in Against the Fall of Night. Against the Fall of Night would be considered a novella by today’s standards; it’s probably about 40,000 words in length. Other aspects of the work contribute to a “novella” feel; the story is not fleshed out and large sections are told to us via indirect narrative. The things that are shown, though, are imaginative and gorgeous. 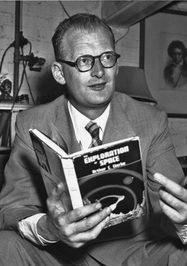 Arthur C. Clarke is one of the most influential writers of science fiction. His quiet optimism, faith in science, and ability to tell straightforward but intriguing tales endeared him to a generation of fans that continues to this day. 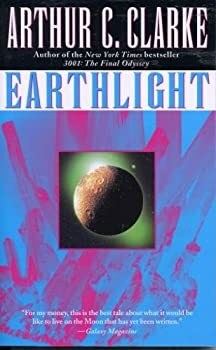 Earthlight, his sixth published novel, follows directly on the heels of his successful Childhood’s End, and though rather simplistic in presentation, adheres to the author’s style in perfect fashion. Pat Harris is the captain of Selene, the only tour bus on the moon. 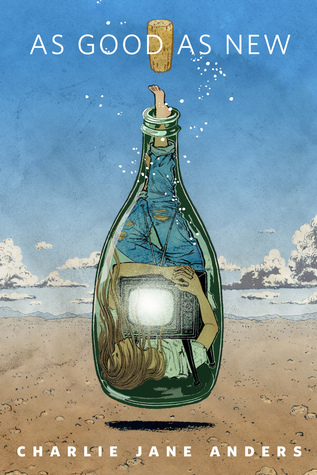 Every day he and his stewardess, Sue Wilkins, take passengers on a trip across the moon’s Sea of Thirst. This crater filled with moondust seems similar to a lake on Earth, and Selene, like a motorboat, smoothly skims across its surface. By the light of Mother Earth, Selene’s passengers are entertained by glorious views of the moon’s topography, including the impressive Mountains of Inaccessibility. In 2131, humans are minding their own business when a large object thought to be an asteroid is detected at the edge of our solar system. As it gets closer to Earth it is photographed and found to be unnatural — obviously an alien spaceship. A team of scientists is sent to meet the ship dubbed “Rama” and to make our first contact with an alien species. 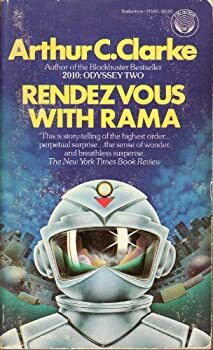 When they get there, they find Rama uninhabited and they set out to discover all they can about the aliens who must have launched it. What are they like and what do they want with us? The latest scheme dreamed up by Dr. Vannevar Morgan, a materials engineer, is either pure genius or pure crackpot: He wants to build an elevator to space. He’s discovered a new material that he thinks is strong enough to withstand the gravitational and climatic forces that would act on such a structure and he’s found the only place on Earth where it’s possible to achieve his dream: the top of the mountain Sri Kanda on the equatorial island of Taprobane (pronounced “top-ROB-oh-knee”). Unfortunately, this mountain is the sacred home of a sect of Buddhist monks who are not willing to budge unless one of their prophecies is fulfilled. In March 2008 one of the titans of science fiction, Arthur C. Clarke died at the age of 90. 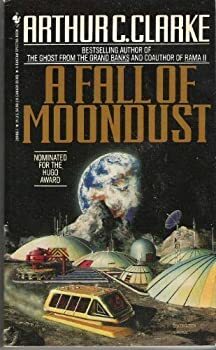 At the time he was working on The Last Theorem, a collaboration with another big name in science fiction, the slightly younger Frederik Pohl who died in 2013. Clarke's health would not permit him to do the writing himself so much of the novel was written by Pohl based on an outline and notes by Clarke. Just a few days before he died, Clarke finished reviewing the manuscript and gave it his blessing. Clarke's last novel got quite a bit of attention when it was released. It also got mixed reviews. Short Fiction Monday falls on a Friday this month! In this special edition, we've found speculative short stories with a Christmas theme. In this Hugo-awarded Christmas-themed story, an astrophysicist who is also a Jesuit priest struggles with his faith as he returns from a scientific voyage to investigate a white dwarf, the remains of a star that went supernova thousands of years ago. What they discover shakes the priest’s faith as he tries to incorporate his new knowledge with some of the more innocent-seeming ideals of his order’s teachings. Short Fiction Monday: Our weekly exploration of free and inexpensive short fiction available on the internet. Here are a few stories that caught our eyes this week. 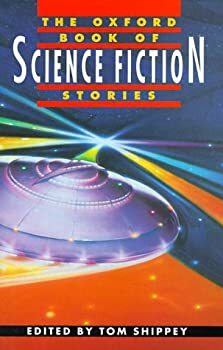 Short Fiction Monday: After a few weeks' vacation, SFM returns to continue exploring free and inexpensive short fiction available on the internet. Here are a few stories we've read recently that we wanted you to know about.